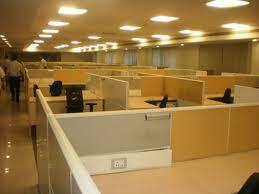 RENTOFFICES.IN - ?office for Rent in Powai | lease Office space for Rent at Powai,Mumbai. ?office for Rent in Powai | lease Office space for Rent at Powai,Mumbai. In Powai - Rent / Sale commercial office spaces rent in Powai office spaces / shops space premises commercial buildings Mumbai central suburbs glass facade in Powai- 800 1000 1200 1500 1800 2000 2500 3000 3500 4000 4500 5000 5500 6000 6500 7000 7500 8000 1000 12000 15000 18000 20000 22000 24000 sq. ft. and above fully furnished - semi furnished, unfurnished-lease rent commercial office space, it park, etc. At Forest Street, Hiranandani Gardens - Powai, Central Mumbai suburbs, Mumbai Rent 2.1 Lac @ 150 per Sq.ft. Address: Kensington Rear Exit Rd, Hiranandani Gardens, Hiranandani Gardens - Powai, Central Mumbai suburbs, Mumbai Rent 14.3 Lac @ 110 per Sq.ft. Washrooms: 2 Built-up area: 13000.00 Sq.ft. Carpet area: 7800.00 Sq.ft. Spacious unfurnished office with 8 car parks in Supremus Hiranandani garden Powai. Total usable area is 7800 squar - Rent office spaces commercials in Powai | it Parks | Central Mumbai suburbs. The owner is flexible for furnishing as per requirement. Rent / Sale commercial office spaces rent in Powai office spaces / shops space premises commercial buildings Mumbai central suburbs glass facade in Powai- 800 1000 1200 1500 1800 2000 2500 3000 3500 4000 4500 5000 5500 6000 6500 7000 7500 8000 1000 12000 15000 18000 20000 22000 24000 sq. ft. and above fullyfurnished - semi furnished, unfurnished-lease rent commercial office space, it park, etc. Rent / Sale Commercial Office Space for rent / lease in Hiranandani Gardens - Powai, in Powai rent office spaces / commercials / shops / showrooms in powai - hiranandani gardens - lodha supremus-Galleria- Hiranandani Kailash Complex-Gateway Plaza-Supreme Business Park, Hiranandani Gardens - Powai- Hiranandani Tower-Alpha-Delphi-Hiranandani Gardens -Hiranandani Gardens Glen Ridge-rent / sale. buy / purchase / outright - office spaces / shops on rent offices / commercials space rent / sale premises commercial buildings it park - Mumbai central suburbs glass facade in Powai- 800 1000 1200 1500 1800 2000 2500 3000 3500 4000 4500 5000 5500 6000 6500 7000 7500 8000 1000 12000 15000 18000 20000 22000 24000 sq. ft. and above fully furnished - semi furnished, unfurnished-lease rent commercial office space, it park, etc.